If you've ever been in a relationship where you couldn't be your true self, you know that it's pretty hard to be truly happy. And because of that, the relationship usually doesn't last. Perhaps unsurprisingly, this rings true for employee-employer relationships as well. According to studies, whether or not employees feel they can be themselves at a company affects how long they stay. In fact, just allowing employees to share their authentic selves during the onboarding process not only increases retention rates by 33% during the first six months, it also leads to better performance and productivity. And, it makes sense— "when we connect and build trust, good things happen," says Erica Keswin, author of the book Bring Your Human to Work. In a talk at WorkHuman 2018, Erica spoke about the power of "working human," or encouraging authenticity and caring in the workplace. 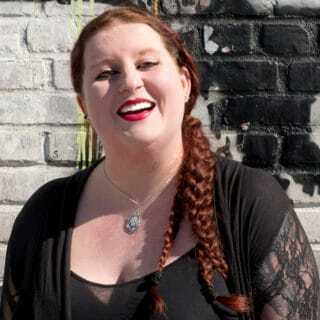 According to Erica, when companies encourage employees to bring their true selves to work, they create a company culture where employees can build genuine connections with their coworkers and feel a sense of purpose, which in turn helps the company succeed. In her talk, Erica shared three steps you can take to build a culture that encourages authenticity to help your employees thrive—and attract great talent. Here are her tips—and some examples of companies that have mastered these techniques. Having clearly defined company values gives employees a sense of purpose that makes their work more meaningful to them. If these values are felt throughout the company, it’s easier to make important decisions—like whether a candidate is a good fit. But having too many can muddle things. Erica recommends taking the time to settle on the four to six core values that define your company. From there, you can think about ways to weave those values through the work employees do every day. These four values guide everything from training to office design. A great example of this is the secret library. 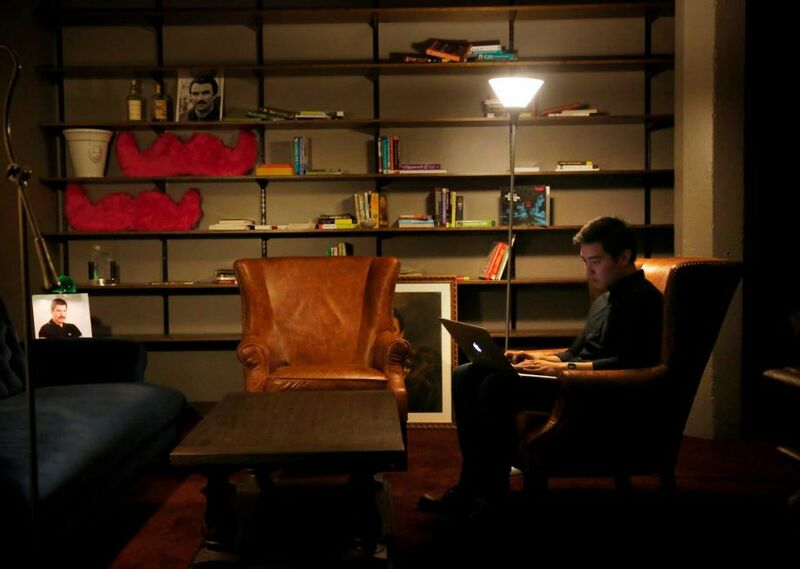 One of Lyft’s founders, John Zimmer, was concerned that open plan offices gave employees no space to escape when they needed a mental breather. This conflicted with one of the core values—creating fearlessly—so he found an innovative solution. 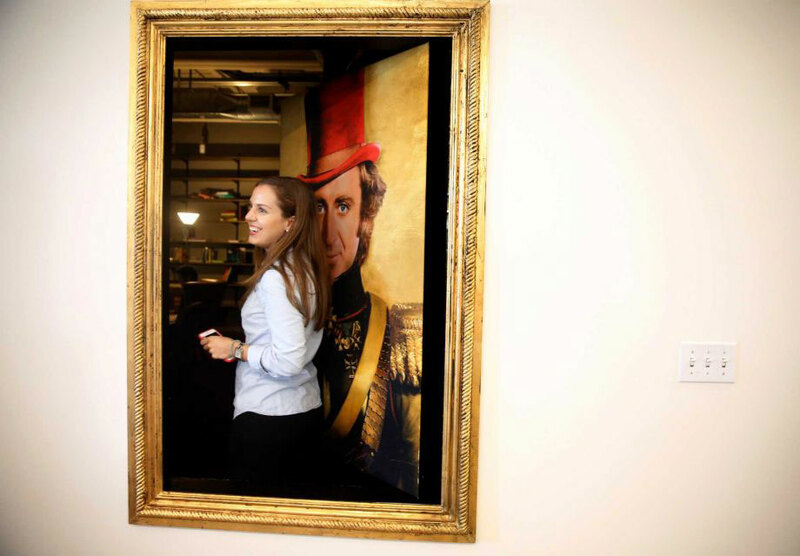 At Lyft’s San Francisco office, team members can sneak away to a hidden library concealed behind a portrait of Willy Wonka on the wall. This means that Lyft can keep its open floor plan that allows fearless creation and collaboration, but also give employees a chance to escape and recharge. Think about what it will take for employees to live by your company’s values and look for ways to give them the resources they need. Communicating these values to candidates from day one can also help them decide if your company and its culture are right for them. Developing an authentic, consistent voice can help companies stand out—both to customers and to candidates. Moving away from stiff and generic work-speak is another way to help employees feel like they can bring their true selves to work, fostering a sense of belonging. 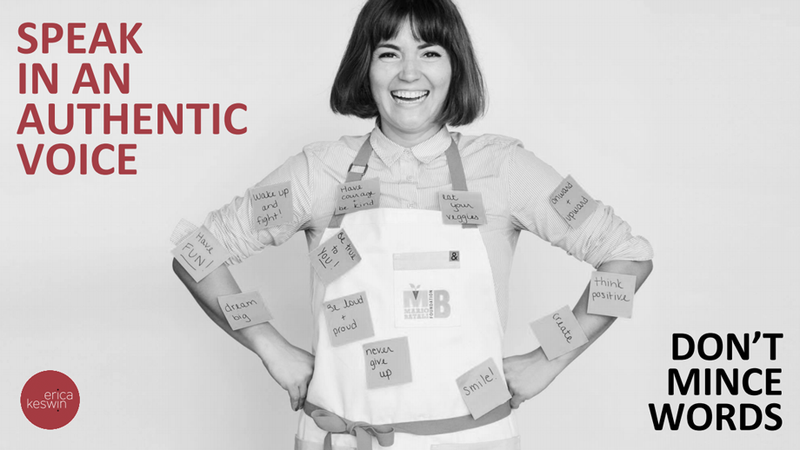 One company that embodies this is Hedley and Bennett, a company that makes handcrafted aprons. Ellen Bennett, the founder and CEO, is proud to be loud and direct, and her voice is felt through all the company’s marketing efforts. To show the world what sets Hedley and Bennett apart, Ellen started using Instagram from day one and even hired a photographer to curate the page with vibrant photos with unique captions that show who they are as a brand. Since then, the company has attracted more than 86,500 followers, helping the brand to stand out and attract the type of people who will thrive there. And, Ellen doesn’t stop with how the company is seen externally—she is committed to channelling an authentic voice within the company itself. That authenticity creates a real connection between the company and its employees, making work feel more meaningful. In one instance, after realizing that some employees felt the need to write formally in emails, Ellen reminded them that they should just be themselves. That kind of corporate language didn’t reflect their own voices or the company’s, so it threatened to create a disconnect between them and their work. Erica also highlights the power of storytelling as a way to help everyone at the company embrace an authentic voice. “Identify where people are living these values and share it with the rest of the company,” she says. Doing this is a great way to bring everyone in the company together. For example, at Lyft, Ron Storm, the company’s former head of HR, would encourage leaders to find examples of employees embodying Lyft’s core values. These would be shared across the organization to help everyone feel more aligned. To truly live and work by the company’s values, employees need to really understand those values and feel empowered to act based on them. Erica points to JetBlue as a company that has mastered employee empowerment. The airline has an employee empowerment program to help its team feel comfortable going off script. One of the airline’s five core values is fun, and employees frequently find creative ways to deliver this to their customers. On one occasion, flight attendants discovered that two passengers were eloping. They decided to throw an impromptu fake wedding on the plane, complete with napkin flowers and a veil made from a plastic bag. The happy couple was even serenaded by a passenger with a saxophone. “There’s nothing in the handbook that can tell those employees to do that—other than, perhaps, ‘bring your human to work,’” Erica says. Whether it’s through training or by celebrating success stories, it’s important to find a way to help employees feel empowered like this—otherwise, the values will never make it out of the handbook. Creating a culture that’s human and authentic can improve performance and help employees feel more connected, purpose-driven, and empowered. Focus on your values and find ways to channel these into every aspect of the culture—from the design of the workspace to the communications you have with candidates.